ISLAMABAD – Head Coach Waqar Younis urged Prime Minister (PM) Nawaz Sharif to play role in saving Pakistan cricket. Waqar Younis met Minister for Inter Provincial Coordination Mian Riaz Hussain Pirzada in Islamabad and handed over the report prepared over green shirts’ abject performance in last few months. The former pacer informed the minister with ongoing politics in selection committee. The coach also refrained from answering the question related to Mohammad Hafeez’s injury. Riaz Pirzada assured to keep Waqar’s report secrete and to hold his meeting with PM Nawaz. 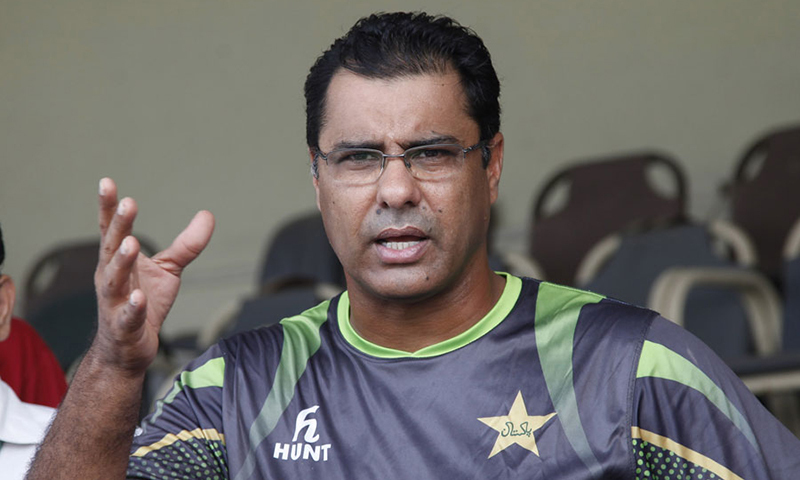 Earlier, Waqar Younis expressed anger on Pakistan Cricket Board (PCB) Chairman Shahryar Khan and Chief Organiser Najam Sethi as his confidential report got leaked to the media. “Najam Sethi and Shahryar Khan did not even bother to meet me. They have let me down. When I asked how the report got leaked, I faced humiliation only”, said Waqar. The head coach was clearly not happy with the way the players responded or shown improvement in World Twenty20 due to which he apologized from the nation and prepared a report. While opening the Pandora’s box, Waqar alleged that star batsman Mohammad Hafeez kept secret his injury before World Twenty20 while the captain Shahid Afridi also missed maximum team meetings and practices. The coach revealed that some players in the squad were not ready to co-operate with the coaching staff. He said they were also not able to implement the game plan given by the coach. The report was dispatched to fact-finding committee that includes Test captain Misbah-ul-Haq and seniorbatsman Younis Khan. Waqar Younis was also responsible for the poor performance of the team as he selected out of form Nasir Jamshed in World Cup 2015 as a substitute of Mohammad Hafeez and refused to list Sarfraz Ahmed in playing XI.